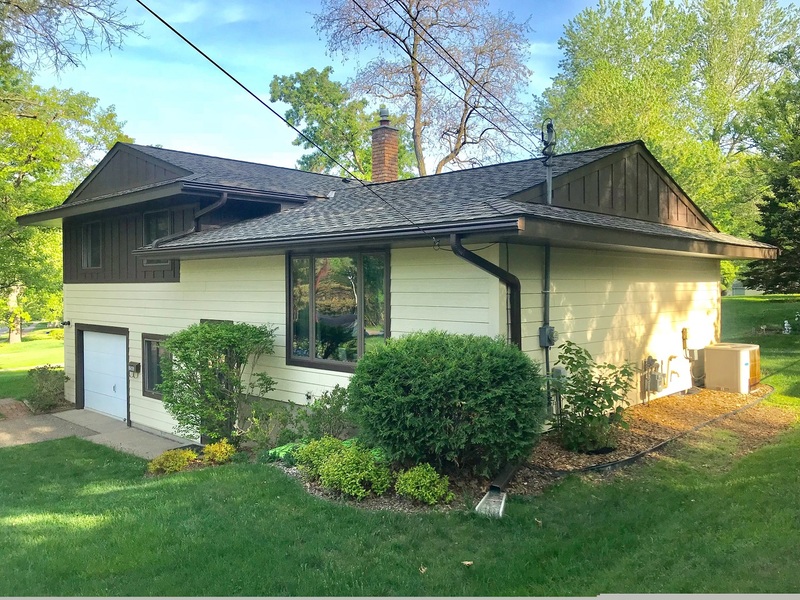 When we pulled up to Conrad’s home in the Battle Creek neighborhood of St. Paul, we were won over by the home’s alluring curb appeal. Stately trees and lush landscaping created a relaxing oasis on a hilly city lot. The structure itself was aesthetically pleasing and we were eager to learn about Conrad’s wish list to see how we could make this home the best on the block. Consistent themes throughout our conversation were that the materials we installed be maintenance-free, energy efficient, and eye pleasing. 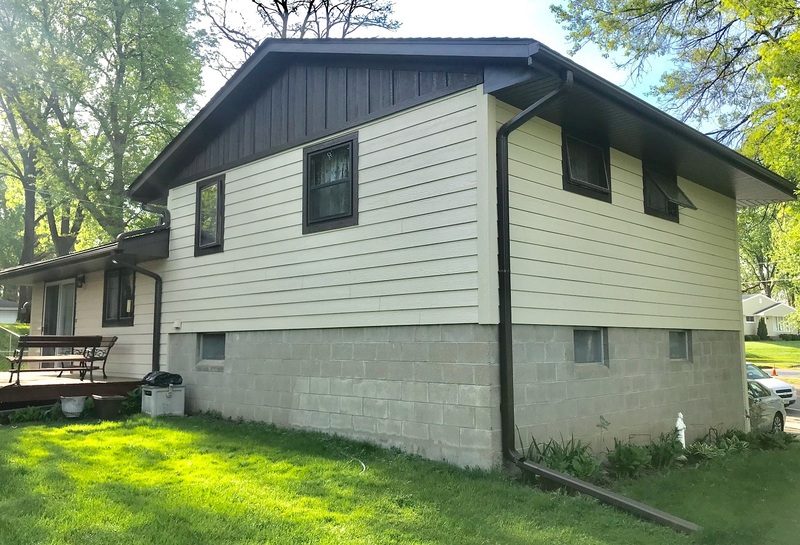 The list of items that needed replacing was substantial and included roofing, siding, windows, insulation, and gutters. Here are the solutions we proposed to exceed Conrad’s expectations. Here’s how the home looked before renovations began. Roofing: When we conducted our inspection on the roof, there were a few immediate indicators that it needed replacement. 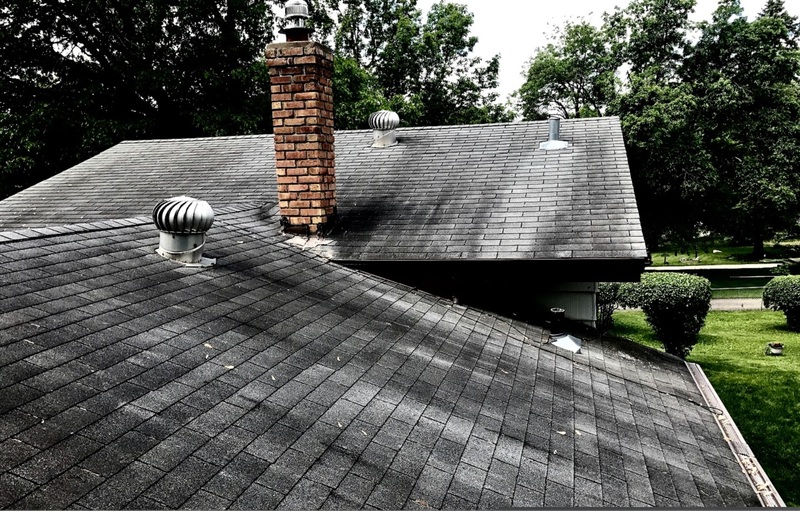 Many of the shingles had become discolored and the chimney showed signs of corrosion. To remedy the situation, we replaced the chimney cap and the top courses of brick. In terms of roofing material, we suggested Timberline Ultra HD® shingles by GAF Roofing. In addition to having earned the Good Housekeeping Seal, GAF Roofing comes with a 50-year, non-prorated warranty on labor and materials. We found Timberline Ultra HD® shingles in Weathered Wood to be the best fit for this roof because of their layers, which provide an architectural look. The StainGuard® protection built into each shingle wards off the growth of unsightly algae on a roof, which is particularly important for homes surrounded by mature trees. Our inspection of the roof showed that replacement was necessary. Insulation: Suffice it to say, attic insulation standards have changed dramatically since Conrad’s home was built in 1966. Rather than continue to overpay for heating and cooling costs, we suggested a combination of, cellulose, fiberglass, and attic foam insulation. The immediate results of this application is a more comfortable home and lowered energy savings. Long-term, proper insulation and ventilation prevent ice dams, corrosion, and rust. Siding: Until the 1980’s, adding asbestos to siding was a regular occurrence. Using asbestos as an additive made siding cost-effective to manufacture and easy to maintain. The siding on Conrad’s home contained asbestos. However, as long as it was not disturbed, the chemical did not pose an imminent health threat. During the removal of the siding, our team utilized additional safety measures and disposed of siding in a lined dumpster that has the purpose of preventing environmental contamination. For new siding, we suggested the installation of LP® SmartSide®. 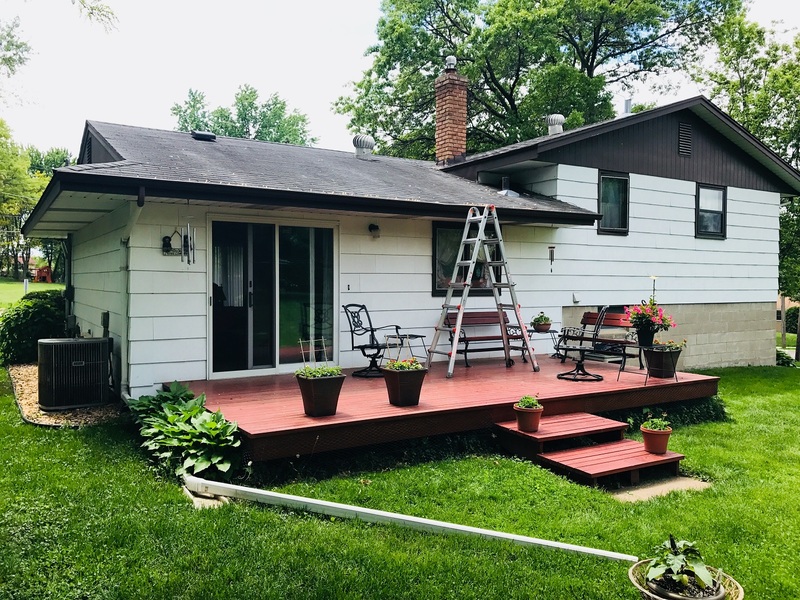 One of the biggest reasons our installers like LP® siding installation is because the boards come in long lengths that are easy to put in place. In Conrad’s case, the use of this material created fewer seams than the home had with previous siding. This created a more cohesive look. To keep the home true to the era it was built in, we used a combination of almond and brown hues. Here’s how the back of the home looked after the installation of windows, roofing, siding, and gutters. Windows: Whenever we’re working on a home siding project, we take time to evaluate the house’s windows. Doing these projects in tandem with each other allows for the best possible end result. In most scenarios, homeowners save money on labor costs because calking and sealing window openings & trim and siding joints will only need to happen once. In this case, the home had several casement windows that were in need of replacement. We advised the use of SeasonGuard because they are energy efficient windows. Additionally, they have a larger glass surface area than most brands and have warranties that even cover glass breakage. Here’s how the front of the home looked after project completion. Gutters: When we inspected the roof on our initial visit, the gutter screens were teeming with helicopter leaves. Not only was this unsightly, but the situation was causing clogged gutters. In order to protect his investment, Conrad opted for the installation of LeafGuard® Brand Gutters. They’re the only patented system guaranteed never to clog. Installed in Musket Brown, they blended in perfectly with the home’s new roof and siding, creating an appearance similar to crown molding. "Good company. Site supervisor Billy was really great to work with." "EVERYTHING WAS GREAT!" - Merrie S.
"It went well." - Jinny K.